A cooler is a plastic box which has an insulating material between its walls, to enable it keep its components cold, and a small cooler is one which is easily portable due to its lower capacity. Coolers are usually made of plastic, and have internal and external walls with a solid foam material in between as an insulator. The outer wall is usually of polyethylene plastic, the inner wall of polypropylene plastic, while the insulator is of polyurethane foam. Coolers are used to keep food materials cold. This is very useful during picnics and other outdoor events. They can also be used to keep materials purchased from cold stores, during transit. These are the coolers commonly used. They can keep food materials cold for up to five days. They are built with two plastic walls with an insulating foam material between them. These coolers are built with thicker walls and a greater insulating capacity. They can keep food materials cold and fresh for more than six days. Specialty coolers: these include electric coolers which can be plugged into an electric outlet, and offer almost continuous cooling. Other types of specialty coolers include soft coolers which can be carried as a backpack. Coolers come in different sizes. The smallest coolers which can easily be used as personal coolers are in the range of below 25 quarts. Larger sized coolers range from forty to hundred quarts. 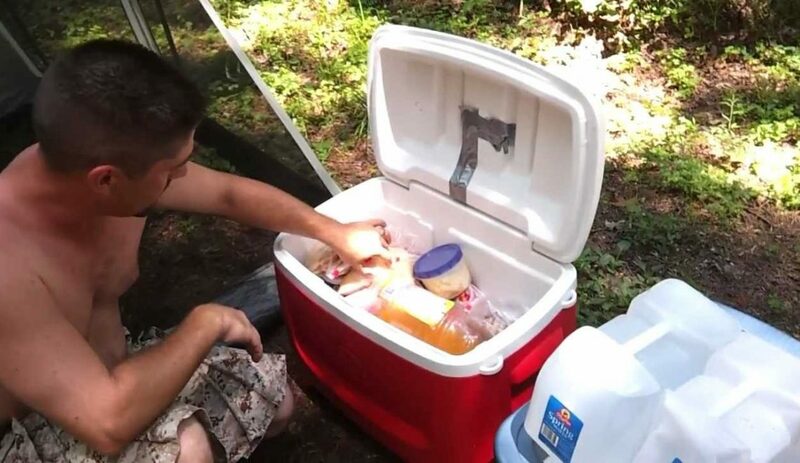 The small coolers are easily portable, and can be used by a single person to store drinks or food materials. The largest sizes are not very portable, and may be stationary at the site where they are used. The coleman fliplid 6 personal cooler: this has a cover lid which can also be used as a tray for serving snacks and drinks. 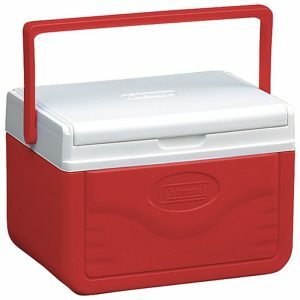 Rubber maid 10qt personal ice chest cooler: This has a good insulating ability. Igloo 14.8 qt playmate cooler: also has good insulating ability. Coleman 16qt personal wheeled cooler: this model comes with a long handle and wheels for easy portability. Things to consider in Selecting a Cooler. The type of cooler to purchase depends on the expected usage of the cooler. Traditional cooler models can keep materials cold for two to four days. On the other hand, the high end coolers can retain ice for up to 7 days. The high end coolers are more durable than the traditional models . they therefore last longer, and are to be preferred if coolers are to be used very frequently. Cost considerations: the high end models are more expensive than the traditional coolers. Portability: the small coolers and personal coolers are more portable than the larger sizes. Storage capacity: this should always be considered together with portability, and the size that satisfactorily blends both of these requirements should be chosen.